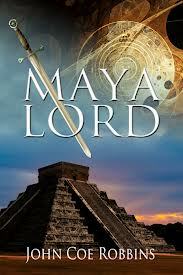 Deadline is reporting that Roland Emmerich’s Centropolis Entertainment has bought the screen rights to Maya Lord, John Coe Robbin’s 2011 historical novel about Gonzalo Guerrero, the Spanish adventurer who was shipwrecked with his crew in 1511 on the shores of the New World and taken prisoner by a Mayan tribe. Learning to adapt to a foreign and sometimes hostile culture, Guerrero marries the daughter of a powerful chieftain and eventually helps the Maya defend against Cortes and other Spanish conquistadors. Guerrero is considered a hero in Mexico and the father of the first Mestizo family, whose people are of both Spanish and Native American descent. Maya Lord is apparently a passion project for Emmerich, and, amazingly, could be his first book adaptation as a director. He had been tapped to direct Isaac Asimov’s Foundation Trilogy for Columbia Pictures, but that ambitious project hasn’t gotten off the ground yet. He was also a producer on 1999’s The Thirteenth Floor, based on Daniel F. Galouye’s Simulacron-3. Given his predilection for sci-fi and blowing up national monuments, the White House Down director may seem ill-suited to tackle this historical epic, but it actually makes some sense. For better or worse, the ancient Maya civilization has infused a lot of Emmerich’s work. The Mayans were gifted astronomers, charting the movements of the moon and planets. It was their calendar that predicted 2012 apocalypse that, though thankfully wrong, would be recreated in the 2009 film. And it’s widely believed that severe climate change brought about the collapse of Maya’s classic period in the 9th Century, à la the cataclysmic weather disasters of his 2004 The Day After Tomorrow. So I can at least understand his interest in this important piece of Mayan history. Emmerich has already stated his desire to stretch as a director. His next film, Stonewall, is maybe his most human to date. It’s a coming of age drama set during the 1969 Stonewall Riots in Greenwich Village. Of course, that’s going to be followed by the very inhuman Independence Day sequel. Here’s hoping Robbin’s thoughtful novel will lay down a strong enough blueprint for character and story so that it won’t be a disaster.